This special Pin Bar detector indicator is part of our complete cTrader candlestick pattern collection to help traders identify trade opportunities, Pin bars are among the top choices for technical traders that follow price action signals with varying trading strategies for entry and exit. In a nutshell, this pin bar detector indicator will inform you via various messaging options when the pin bar candle forms, this is to be used together with your existing trading strategy to help you identify trade opportunities. The pin bar candlestick is a very popular technical indicator for trading. 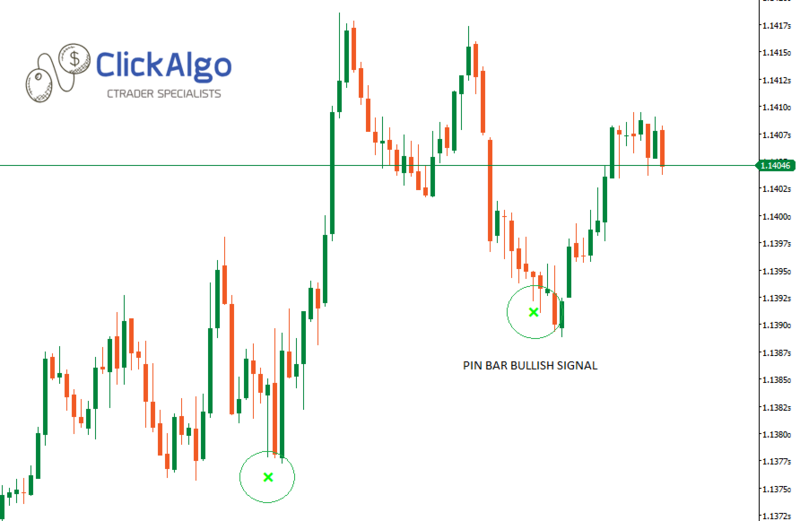 Pin bars are among the top choices for technical traders that follow price action signals with varying trading strategies for entry and exit. What Is a Pin Bar Candlestick Pattern? Pin bar pattern is characterized by a long upper or lower wick with a small body relative to the size of the wick with little to no lower or upper shadows. How Do We Identify a Pin Bar Pattern? A very important consideration when using pin bar candles is that the colour of the candle is not usually a signal for the trade direction. So, a bullish pin bar is identified by long lower wicks and a bearish pin bar is identified by long upper wicks, how the body of the candlestick closes should also not be considered. These Pin bar patterns are formed when prices are tested and rejected, which is visually shown by the long wicks in the pin bar. While the pin bars can form almost anywhere on the chart, they are considered a strong pattern when they are formed near support and resistance levels. Many Pin bars are commonly formed near a moving average, trend lines or other indicators. A pin bar on a weekly or daily charts is more important than pin bars formed on the lower time frames. Not all pin bars provide signals for entering a trade, the ones you should be looking out for are when there has been a strong trend as shown in the image below and then a retracement of price to a support or resistance level, this is why this indicator is a perfect companion with the cTrader Support & Resistance Level Zones indicator which provides alerts to the trader when the price touches the support and resistance levels. We do not just provide trader's with an indicator to download we also provide educational material to learn how to trade using Pin Bar candlesticks. What Kind of Alerts Are There? 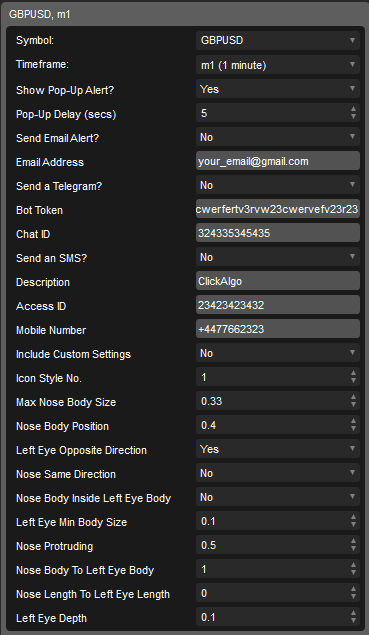 This indicator has 4 different types of alerts to help the trader which is a simple pop-up message on your desktop to an Email, Telegram Bot and SMS text message. The last two provide instant messages so you get informed within seconds of the candle forming. 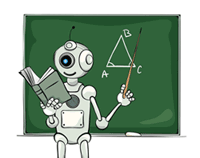 We provide full support and educational material to help you set-up your email, telegram bot and SMS text message accounts so you can start receiving your alerts as soon as possible. There is also a free tool you can use to test that your settings are correct and to help you if you need it. This indicator will also display the classic pop-up window when an alert occurs. Your adjustable parameters are all explained in a PDF document which can be viewed below. All your adjustable parameters are shown below, for full documentation on how to use them just refer above and download the PDF manual.